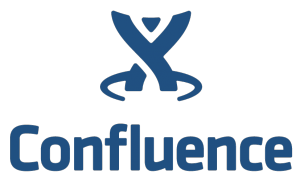 Atlassian Confluence is a simple, powerful Enterprise wiki used by thousands of companies around the world to collaborative create content, maintain internal documentation, plans, event and much more. And with the Team Calendars plugin you can manage your team and track projects, all from the same user friendly interface. Customizable dashboards, strong integration with other tools and lots of add-ons make it the number one tool in the market to give your entire company one single place to create, share and find information. AtlasHost allows you to install any of the nearly 600 third party Confluence add-ons available on the Atlassian Marketplace, no artificial restrictions! Or install your custom ones (we can even help you develop them if you need), this is what sets us apart from Atlassian OnDemand/Cloud. We set up Confluence for you. No administration knowledge is needed. You just add projects and start productive work. Your Confluence is fully customizable, you can install any add-ons you want!